The Brooklyn Nets hosted their second annual “Practice in the Park.” which was held at the Brooklyn Bridge, Pier 2. 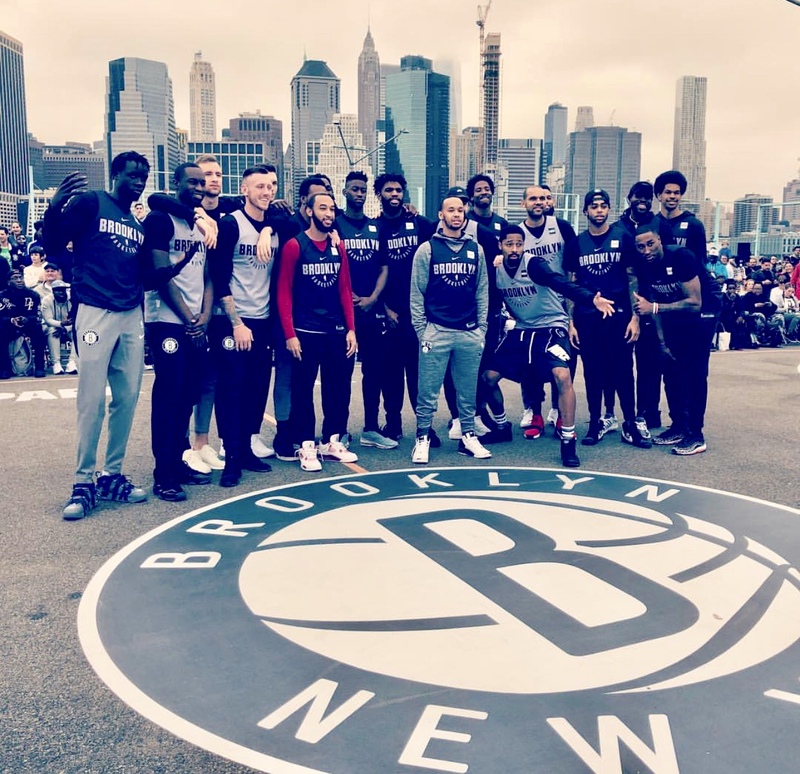 The free event was open to the public, and it allowed the Nets fans and members of the community to come and see the Nets 2018-19 team in action. The Nets squad put on an entertaining morning. Along with the open practice, the day was filled with different events; including watching the team run drills, playing a game of “PIG,’ and even starting a dance contest in the middle of the floor. The Nets 2018-19 roster were not the only players in attendance, two Nets Alumni’s also came to join the fun. Albert King who played on the New Jersey Nets for 6 seasons (1981-87) was in attendance taking photos and speaking with fans, and Kerry Kittles a Jersey Nets alum who played for 7 seasons (1996-2004) also joined in the festivities. Although King and Kittles played for the Nets while they were located in New Jersey, they expressed their continued joy of now seeing the Nets in Brooklyn. “This is great, I think one of the biggest differences, obviously is, we didn’t have a community, we were in the middle of nowhere. Now they’re in an actual city where there are fans that they can see and connect with,” said Kittles. These fans piled into the bleachers as the Nets threw t-shirts into the crowd, shook hands with fans, and took pictures with those near by. Coach Kenny Atkinson said the atmosphere was “amazing.” Seeing the fans show their excitement for the Brooklyn team was “so fun to see.” As the team took to the courts we saw a few new faces; Kenneth Fareid, and Shabazz Napier that came through trades, and new young rookies who were present showing their enthusiasm and excitement. The Nets players showed camaraderie as they danced and laughed with their new teammates. The Nets had a day off to enjoy the fans, but more work lies ahead. The Nets open their regular season on October 17th against the Detroit Pistons.